Lovecraft only wrote a single story set there, 1928’s “The Dunwich Horror“. (He also name-checked it in the poem “The Ancient Track” (1930), if you want to get into the finer details… which I do, of course.) HPPodcraft covered the story over 4 episodes – 1 2 3 4. Keith Herber integrated Lovecraft’s vision of Dunwich with the Hyperboreans stories of Clark Ashton Smith, making it the village also the site of an ancient Hyperborean settlement. For an introduction to Smith’s Hyperborean tales a good place to begin is on the website EldrichDark.com, in particular Laurence J. Cornford’s “A Hyperborean Glossary“, which is not just a collection of every Hyperborean term and proper name that Smith invented, but includes a useful list of all of Smith’s stories set in Hyperborea as well. Conveniently, all of Smith’s stories can be found on the same site. If you don’t want to read them all, the Double Shadow podcast (which discussed Smith’s weird fiction) has you covered – Huzzah! Foum wine for all! – Lovecraft to his Aunt Lillian, July 1, 1928. 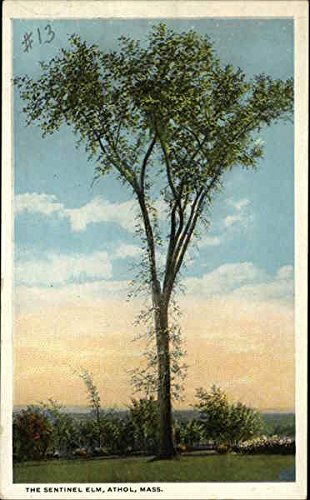 Lovecraft’s inspiration from Dunwich came from a variety of source, but foremost among these was a visit to Edith Miniter’s home in Wilbraham, Massachusetts in the summer of 1928. There’s some interesting discussion of Lovecraft’s visit to Wilbraham in David Haden’s Lovecraft in Historical Context vol IV; see “The terribly nice old ladies : Miniter and Beebe at Wilbraham.” on page 49, from which I obtained the above quote. Other likely sources were a visit to Athol in the same year (see David Haden on that, especially the Sentinel Elm), and a hike to the Bear’s Den water fall (see below). I myself made a visit, perhaps unwise considering the season, to some of these places in the winter of 2011-12. See also my earlier post on whippoorwills. Lovecraft hinted that there might be some underground chambers beneath Dunwich – Keith Herber located (and populated) a massive cavern complex beneath the village. While geologically there are very few caves in Massachusetts and greater New England, the best source for these is 1939’s sadly out of print Underground New England (reprinted in 1846 as New England’s Buried Treasure), by Clay Perry, who himself would make an interesting NPC in the 1920s. Lovecraft’s inspiration here was almost certainly Connecticut’s so-called Moodus Noises, about which see this site as a start. Dunwich has exceptionally rough terrain for Massachusetts, though these rocky spots are not unknown in the Bay State. 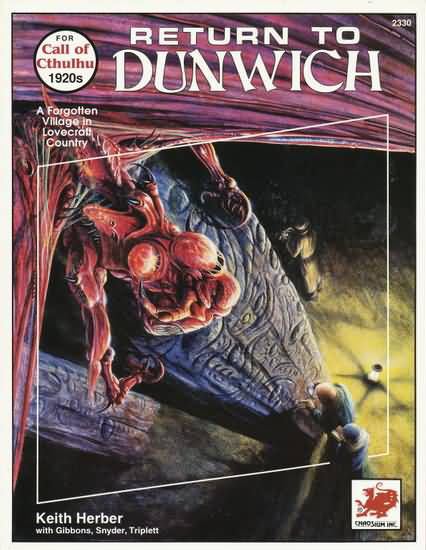 As seen above, there is a sourcebook for Dunwich for the Call of Cthulhu RPG. Written by Keith Herber in 1991, Return to Dunwich was reprinted in 2002; for the differences between editions, see the preceding link. As would be expected, there are a small number of scenarios set in Dunwich – see here for a list. As for secondary materials, there is my article “Saucer Attack 1928! The Dunwich ‘Horror'” from The Unspeakable Oath #21, which presents the incidents from the titular story through the lens of 20th century UFO lore. As with our earlier post on Kingsport, feel free to post comments and suggestions of other useful sources for articles and scenarios.